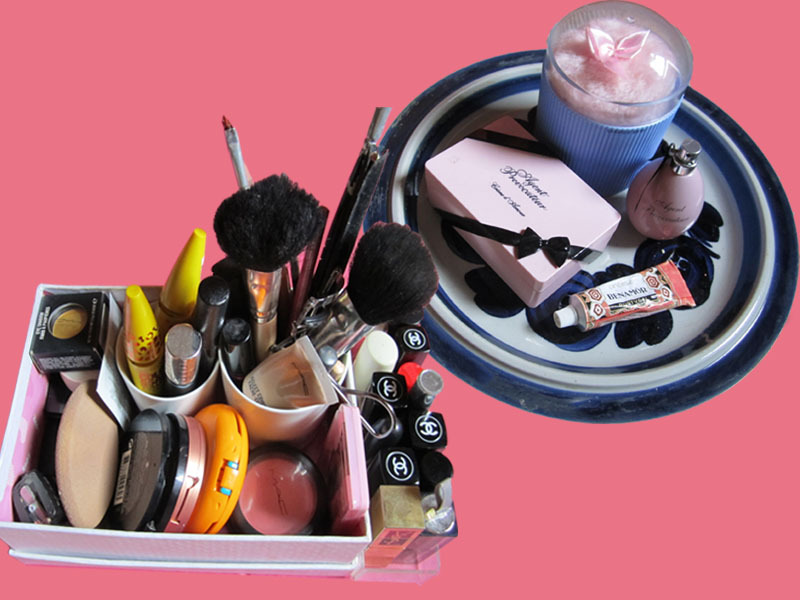 Cleaning up the dressing table is a very borring task that needs to be done once in a while. My dressing table is made of different boxes and trays, most of them don't worth to be show here and are not respectable enough to show my vanity. I don't live in a big house, so it's better no to get crazy with all the new lipstick colours and skin products because then I will have to opt between me or the products inside the house. Here are two of my trays, one with the makeup and lipsticks;the other wih Agent Provocateur parfum and parfumised cream, talc box and Benamor, a portuguese cream with an adorable packaging. Dressing tables featured in the last issue of Vogue Brasil. 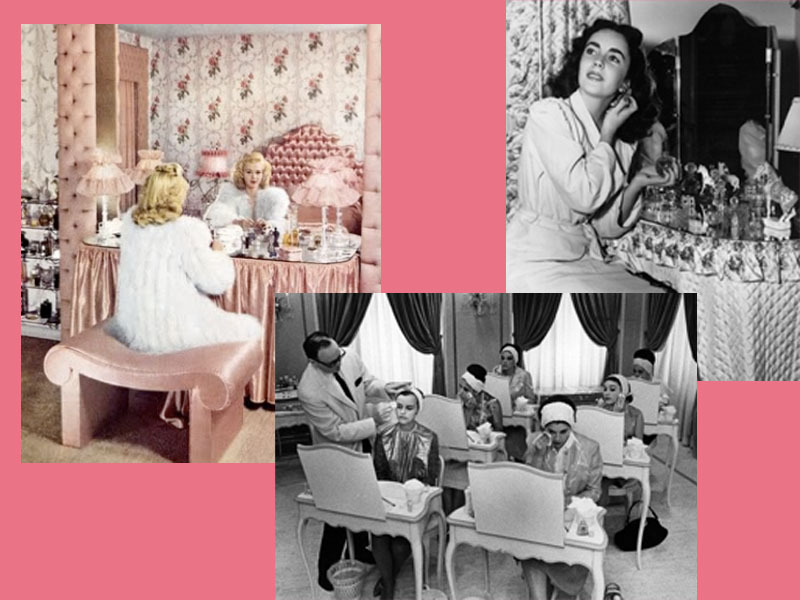 Vic Ceridono, beauty editor of Vogue Brasil which has this amazing beauty blog - Dia de Beaute, shows here dressing tables and vanity rooms of some hyped Brasilian women. 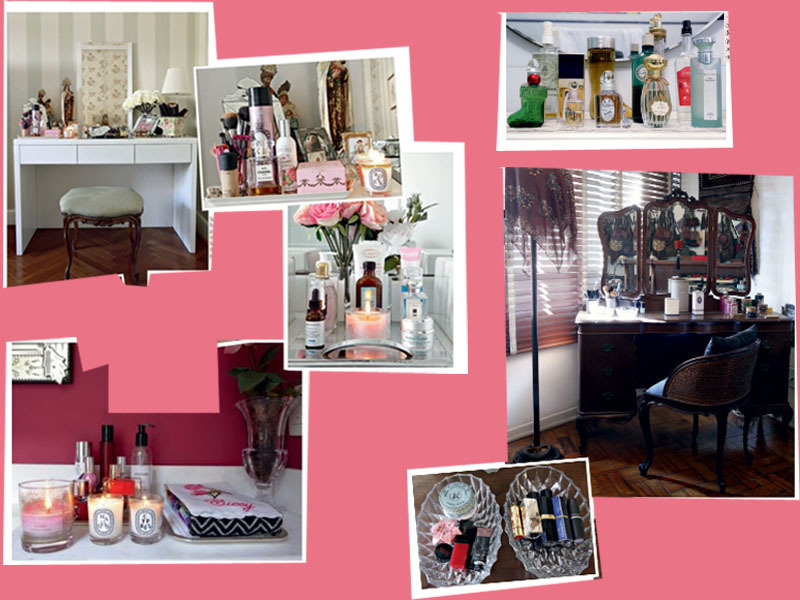 Inspiration for dressing tables and vanity rooms. Thank you so much Francesca for your support.